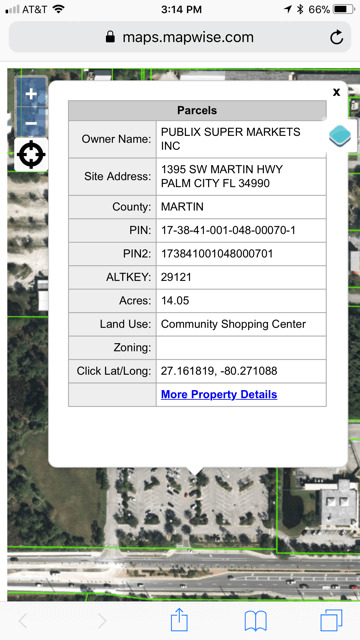 Quickly lookup information on any property in Florida. Explore tracts of land seamlessly between cities and counties. 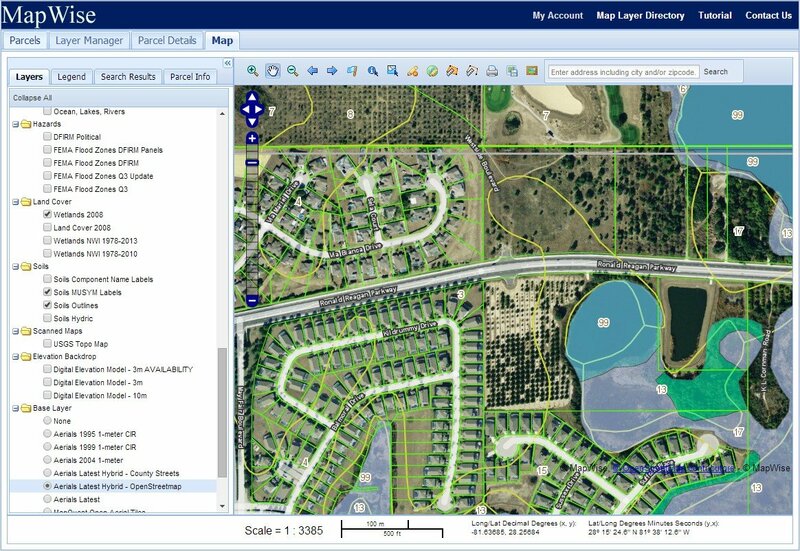 Improve your mapping capabilities and research efficiency with MapWise. Try the 7-day Free Trial. Real estate professionals including Realtors, Brokers, Developers, Appraisers, Surveyors, Engineers and Environmental Scientists rely on MapWise to get work done quicker and more efficiently. Browse interactive maps of Florida. Access statewide taxroll data and parcel maps from county Property Appraisers. Search taxroll data by multiple criteria. View high resolution aerials, flood zones, wetlands, soils, future land use, zoning and more. Quickly research any area in the state. Export data for further analysis. I use MapWise a number of different ways in the process of acquiring land and have always found it to be an incredibly useful tool. Initially I use MapWise to "look" at a property on an aerial while overlaying various layers (wetlands, flood plain, elevations, etc.) to determine a rough idea of its buildable area. MapWise is then used to determine existing zoning, FLU and surrounding land uses to understand if a rezoning would be possible if needed. 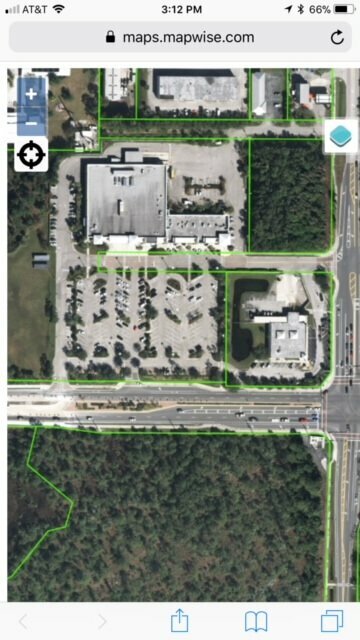 Lastly, MapWise gives us the ability to pull resale comps of the surrounding area from public records to give a full picture of the area's value. I wholeheartedly endorse MapWise and feel it is the best value around as an all-in-one tool for your GIS needs in acquiring land. Copyright ©2019 MapWise Inc. All rights reserved.